Athletes are superstitious creatures around running and race days. I am no different. While I consider myself a pragmatic and thoughtful person, I can’t shake a few of them. The biggest one is my rule of three’s. It was born out of a love of the number, how it continues to pop up in my life at random times, and the idea that it’s me and my two girls, just the three of us. My first 10K I ran in 1:03:13… I’ve come a long way since then, but that was a big deal for me and reminds me how far I’ve come. I feel extra lucky if my bibs have three’s or six’s or nine’s… big number for me. Once I even requested a different bib when I checked in for the race when it had no three’s or derivatives. The races themselves – 5K is 3.1 miles, 10K is 6.2 miles, half marathon is 13.1 miles, Triathlons… you see the trend here. Power of the braid: Mentally, I have to prepare for runs and effectively psych myself up but I need to remain calm and alert. For every race I’ve run, I have a braid somewhere in my hair, quite often one long braid down my back. Again, braiding, three parts…as I braid my hair, sometimes several times, I focus on my breathing, and oftentimes I pray. My biggest superstition, the pièce de résistance was my lucky charm necklace. It was a beautiful silver chain that had three small diamonds in it, one on top of the other. I don’t wear a lot of jewelry and I tend to like delicate, light jewelry anyway so rarely did I take it off. It was something I would find myself touching often playing with it at the hollow space at the base of my throat. Long runs, even a quick brush with my fingers would bring some kind of relief and reassurance from some unknown origin. But my necklace chain broke a couple weeks back after a tough run and I have been quite distraught! I would instictively reach up and my bare neck offered no solace! I’ve never run a race without it and it seemed untimely and unfortuante luck. Recently, with an onslaught of injuries and a schedule of tough races directly ahead of me, I have been realigning what motivates me and yesterday provided some much needed perspective. While at the store, my younger daughter Caitlyn wandered over to the jewelry section. I was in a hurry, but she had been so good I let her take a moment to admire the bling. Her small form seemed out of place in front of the bulky, trendy jewelry hanging on the wall. Watching her stand there in her coat that may be a size too big, her lack leggings and light up shoes, blonde hear in stark contrast to dark backdrop she looked overwhelmed by the space. I couldn’t help but smile at her. She likes to run her small, chubby fingers over the gold and silver necklaces, the pretty colored stones, and the glittery rings and bracelets always fascinate her twisting them around her fingers or wrists. She shuffled to her right a few steps and pulled a small necklace off the rack that was nestled between two larger more ornate necklaces and she held it up to me and said, “Mama, this will look pretty.” I took it from her outstretched hand. 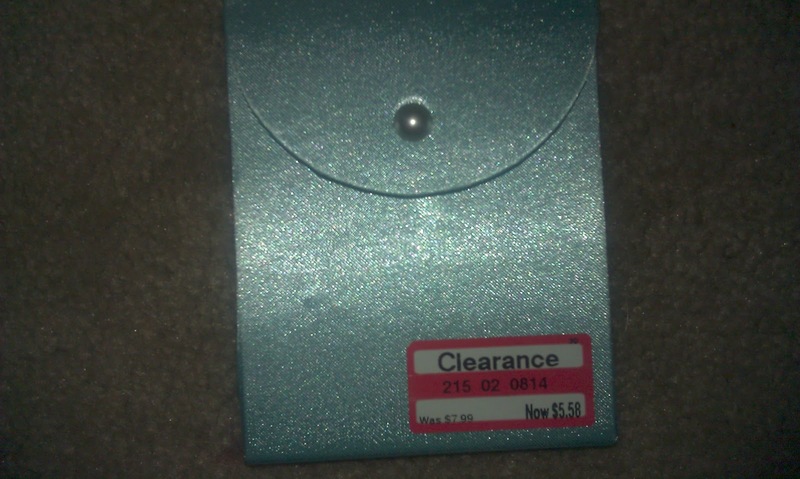 It was a cheap necklace – on clearance for $5.58 with one small ‘diamond’ stone on a delicate chain. Without hesitation I put it in my cart vowing as soon as I got home it would be around my neck. She smiled with a beautiful satisfaction that she had found her mom the perfect necklace, took my hand and left. It was a profound moment for me. Me, the superstitious runner obsessed with the number three. Next Post Oatmeal on the Go!